The organisation, which publishes confidential documents, has been in the cross-hairs of the US for years. Last week, CIA Director Mike Pompeo described it as a "hostile" intelligence service abetted by Russia, and Mr Assange as a "fraud". But the group was last year praised by President Donald Trump for its work during the election campaign. The release of hacked emails belonging to a Hillary Clinton aide were a factor in her losing the election, the Democratic candidate later claimed. US intelligence agencies have concluded that Russia was behind the hack and used Wikileaks to harm the chances of Mrs Clinton and favour Mr Trump. 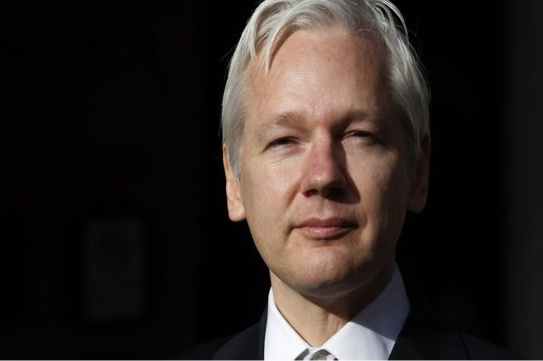 But Mr Assange, who has been staying at the Ecuadorian embassy in London since 2012, has said the release was not intended to affect the election. He was granted asylum by Ecuador to prevent his extradition to Sweden on sexual assault charges. On Thursday, US officials briefed various media on the latest developments, with ABC News saying it is still at the discussion stage. But according to CNN, US authorities have gone as far as preparing charges as they seek his arrest. The Justice Department has been investigating Mr Assange since his website posted thousands of embarrassing diplomatic cables stolen by a US Army soldier now known as Chelsea Manning. But under President Barack Obama, the department concluded it would be difficult to bring charges, says CNN. The Trump administration has taken a dimmer view and in March, Wikileaks released information on hacking tools it said were used by the CIA. "It's time to call out WikiLeaks for what it really is - a non-state hostile intelligence service often abetted by state actors like Russia," said Mr Pompeo.